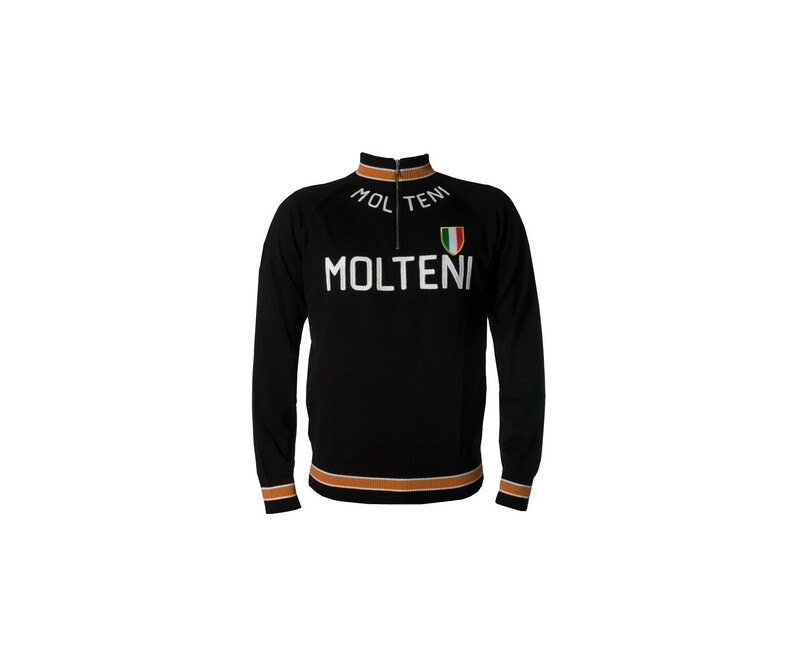 Vintage Velos is proud to offer the Molteni cyclewear's Molteni Spring trainer, as worn by the team on cool training days and after races in the late 1960's. 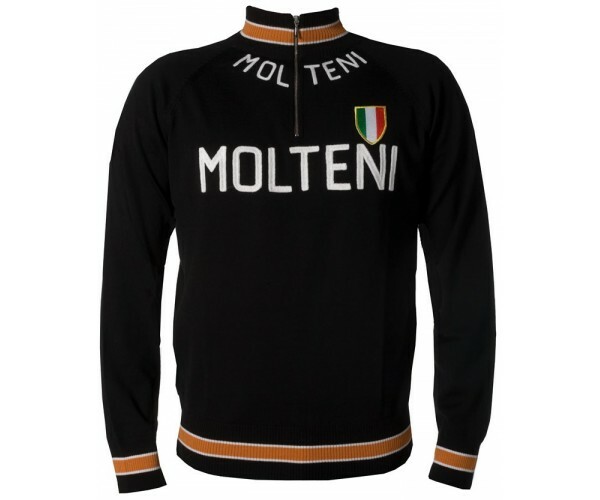 This is a must for those with an eye for attractive, classy sportswear. Single-ply knit, 100% luxurious Merino wool, machine washable. Beautiful chain-stitch embroidery on front and back define the style of this trainer. Silver colored metal zipper. This trainer is a a true work of art in cycling apparel.